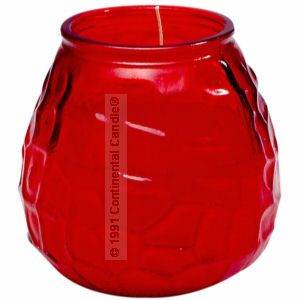 This "Visa" container candle is painted red on the inside for prevention of scratches and assuring the consumer of an even, beautiful red color. The light will give the consumer exactly the desired mood available only in this red "Visa". No wonder many restaurants choose to light our "Visa" candles for the perfect mood.